While I wasn’t at all fortunate to fracture my back and tear my ACL, I was very fortunate to do my rehab at Balance PT. Having had both Pete and Chris as my physical therapists for a combined 16 months, I’m pretty confident in saying you can’t and won’t find better therapists, and maybe even more importantly, better people. Both Chris and Pete not only made me stronger, but made me want to get stronger. The relationships that I built with both of them, always had me coming in smiling, despite going through some of the toughest times of my life. Chris constantly pushed me to increase my numbers, weights, and range of motion while obviously being conscious of my limits. Pete was beyond educational in my experience at Balance, showing me the ‘why’ behind the ‘do’. Their commitment to my success and overall experience catalyzed my interest in the medical field and had me playing my best lacrosse after a full recovery. It’s been just over one year since I was cleared to return to sports. In that year, I helped lead my school’s lacrosse team to the best record in school history as the only Junior captain, and a starting offensive midfielder. This past Summer, I was named to the All-Star team at Blue Chip 225, one of the nation’s largest recruiting events. From her Physical Therapist, Kathy Cortelyou (Balance Physical Therapy), to Dr. Gallo (NH Foot and Ankle), to Concord Orthopedics, to Dr. Lyle Micheli and Dr. De’Hemercort (Boston Children’s Hospital), and Dr. A Sabra (Boston Neurologist), as well as the referral dept at Elliot Medical Center, who did their part to get her the medical care she needed. After PT, orthotics, 2 never induction tests (normal), and 4 injection shots to the right ankle area, the ultrasound-guided LAST shot to target the Bassett Ligament worked!!! 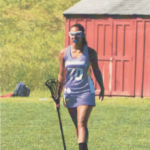 As of May 2018, all your efforts made her happy to play Lacrosse again!!! Thank you doesn’t seem to be enough, but THANK YOU for all that you do…IT MADE A DIFFERENCE, and we wanted you to know. Intelligent, knowledgeable and friendly staff. I highly recommend Balance to my clients, family, friends and co-workers any chance I get. Balance is true to it’s name, each therapist using a multi-sensory approach toward total physical and mental health, in other words, they bring balance back into your life. If you’ve got a physical ailment of any kind get a referral to Balance. Chris, Peter and staff can get to the bottom of it and get you on the road to better health! Followed their new Physical Therapist, Stephen Ellis, over from Merrimack Valley. It’s like a ray of sunshine here. Everyone is always pleasant and happy to see you. I would recommend this place to everyone.